This is about affirmations. Do they work or not? Plus, how do you view what you call failures and mistakes? Do affirmations work or not? How do you view affirmations? What are your feelings or thoughts about affirmations? What about mistakes and failures? How do you view these? The one thing I discovered on my journey regarding mistakes and failures, is that I view them as gifts and blessings. By doing this you discover a lot of richness in your life, and it’s a sign you are moving several steps closer to your dreams and goals. One way to help you move forward quicker, is to have positive affirmations. I know a person who has an affirmation, “I always fall on my feet“. What opens up for her, are amazing, jobs, opportunities, and many other things come her way. Saying positive affirmations, is an excellent way to start creating a new belief within you, and start believing in yourself. The key to affirmations, is they must make you feel good and resonate with you. You can borrow other people’s affirmations, and I have done this very thing. Thinking “that is a good affirmation, it’s working for that person”, “and I will use it”. However, I found using some affirmations that others have shared with me, did not work. I felt affirmations were a waste of time and they weren’t working. Until one day I heard someone say an affirmation. I thought “Wow what an exciting affirmation”, it made me feel good, and I read it out loud. It felt good, it was juicy, exciting, and it resonated with me, creating excitement and joy within me. Then I read another affirmation that had been shared by someone else. It felt dead and lifeless, it left me feeling empty and despondent. This is when I discovered the key to affirmations. The affirmations must feel good and resonate with you. Most importantly, you must believe them, see yourself achieving what the affirmation is saying. By creating affirmations that feel good, that resonate with you, and makes your heart sing, and you believe them. This will help move you towards your dream and goals much quicker. Through the affirmations, you are creating a new belief or beliefs within your subconscious mind. The subconscious mind is what rules you. You are being influenced by outdated beliefs, that are sabotaging you, holding you back, standing in your way, and slowing you down, without you really understanding why or what is really happening. 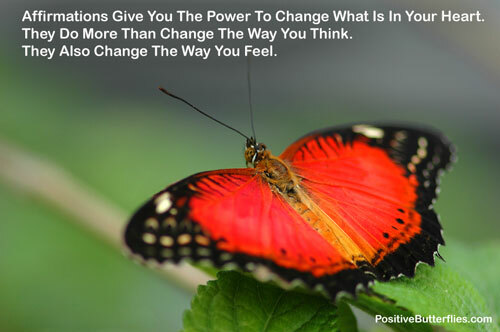 By discovering the key to affirmations and implementing them into my life. I realized that I am creating and manifesting my dreams and goals. What is happening they are coming from a different direction than I expected. It feels like magic is happening in my life.